Imagine holding a palette in your hand and mixing all the colors in it in one sheet of paper. 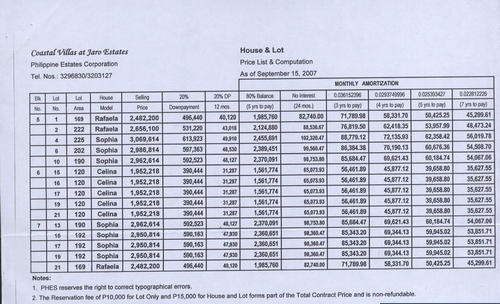 This is Iloilo, an eclectic blend of historic culture and modern lifestyle. A prime tourist destination, Iloilo has some of the oldest and well-preserved churches in the country. Equally exciting are its historical landmarks, splendid mansions and fun, vibrant festivals like the Dinagyang. 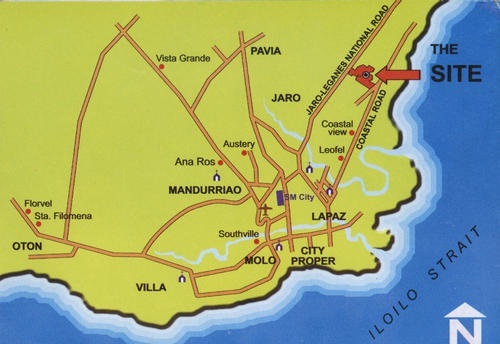 Iloilo also prides itself with the Jaro Grand Estates, a unique community complete with upscale houses, office and business centers, retail commercial town center, institutional areas and other amenities such as parks, playgrounds, sports and entertainment facilities. 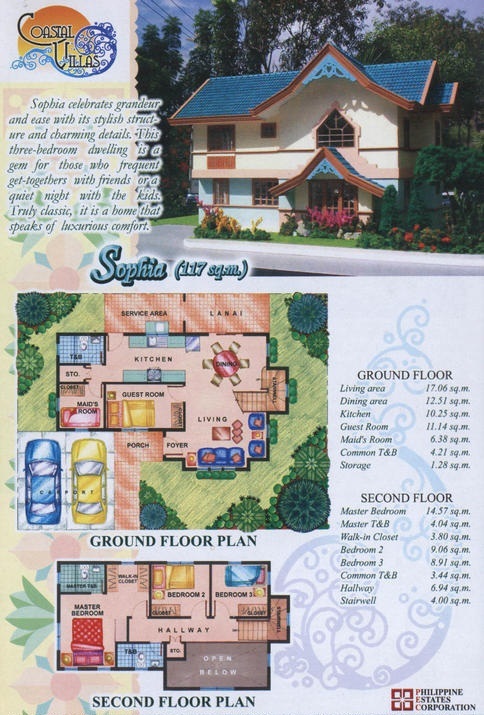 Truly a sight to behold, the Jaro Grand Estates is not just a home but a lifestyle for the Ilonggos. Found here is the Coastal Villas, a beautiful village built in the true taste of Caribbean Lifestyle. 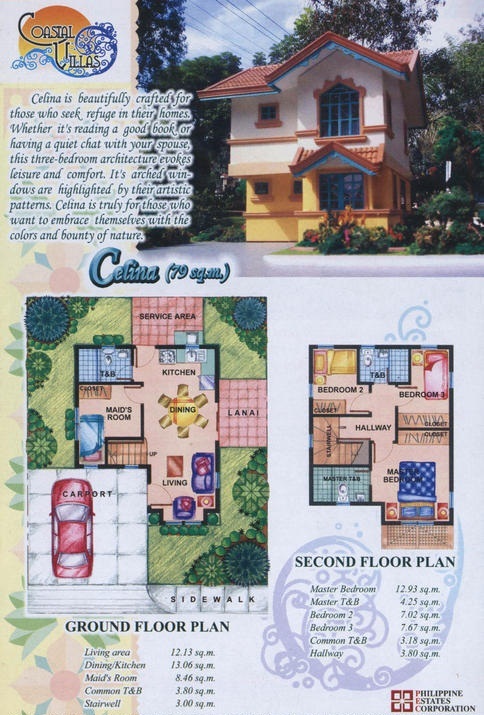 Enjoy a lively array of pastel-hued houses complete with large windows that welcome the cool breeze and natural landscapes that makes you want to sit back and relax. A truly enchanting gateway, it is also strategically located near major business establishments, shopping centers, and educational institutions. A perfect setting for a historic adventure, it is also close to famed churches of Jaro and the mystical island of Guimaras. 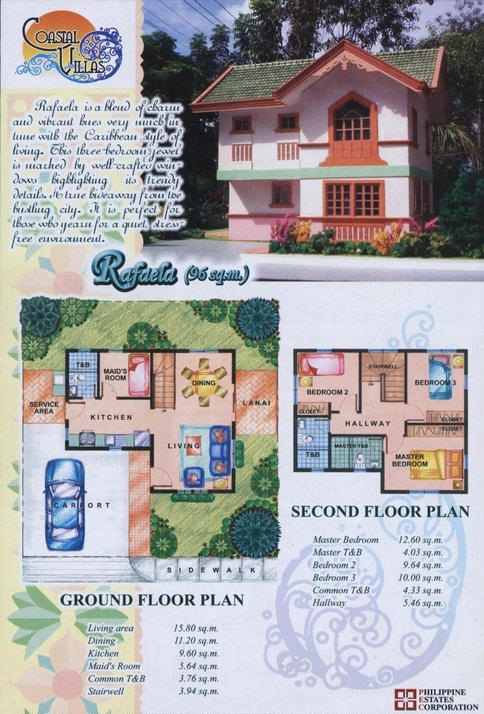 Coastal Villas offers an escape from the hustle and bustle of the city providing utmost convenience and security. 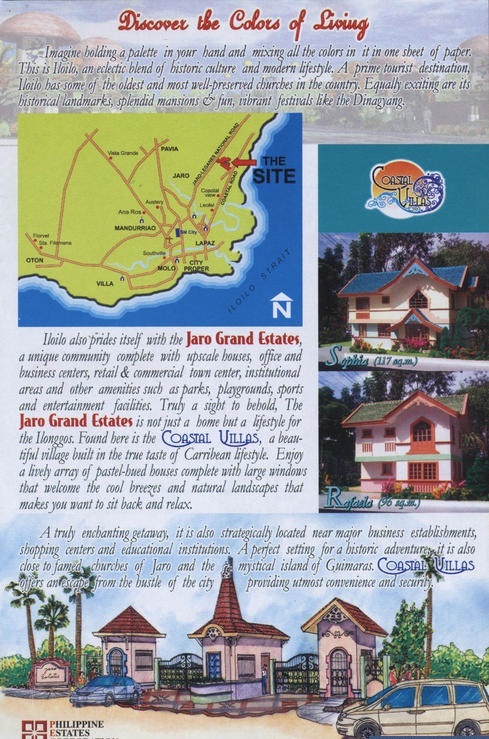 Please mention "JARO GRAND ESTATES" with your comment in the comment box when you have inquiry.